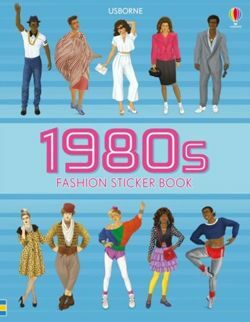 From shoulder pads to spandex, New Romantics to ravers, experience (or re-experience) the Eighties with this humorous sticker book. There are fashions from throughout the decade - from power dressing, leg warmers and blazers to big hair and prom dresses. Notes, photographs and links to video clips explain each 'look' and add historical context.